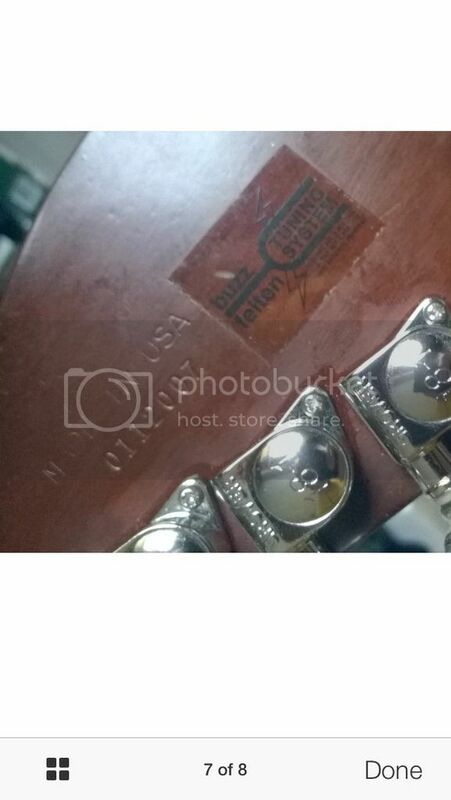 Does this look correct for the reverse of an N4 headstock, ie the â€˜Made in USAâ€™ and â€˜Serial Noâ€™. Many thanks for your reply. All elements of the guitar line up... And it sounds absolutely amazing. Both acoustically and plugged in. I was always an Ibanez kind of guy but the quality and tones of this Washburn are phenomenal. Some say they are overpriced, I'm starting to think not. One other worry was the rear term cover is thinner. Look on most of the Paduaks. Plus it is made from a dimpled plastic while the other two rear plates are made of metal. I thought this a little strange.